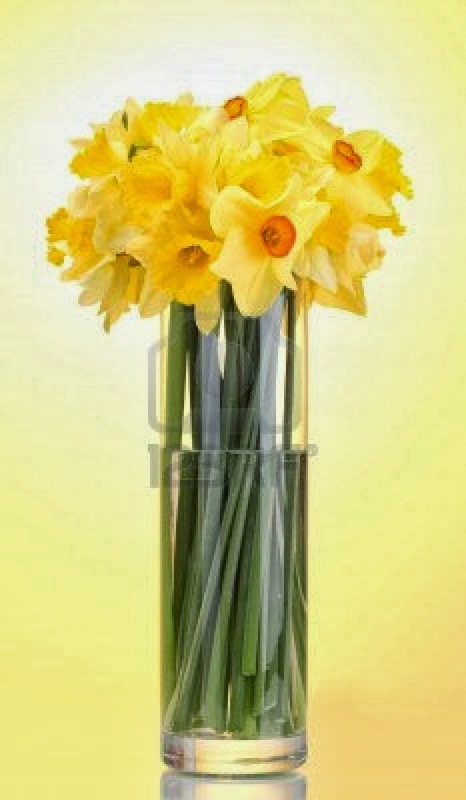 With the bloom of spring in the air, beautiful daffodils raise their heads in triumph of a new season. 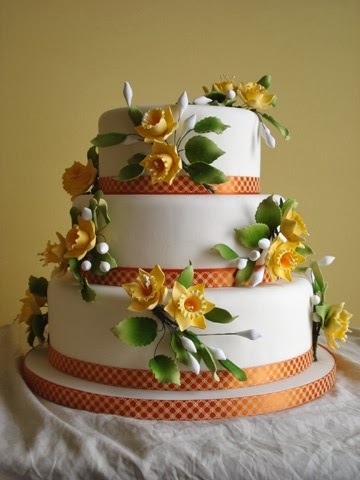 Choosing daffodils as your wedding theme can also be used to signal the blossoming of a new marriage together. 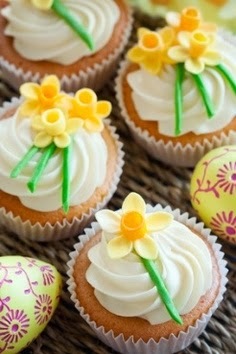 Daffodils come in a variety of colors, although the ones most often seen are in white, yellow and peach tones. The center portion contains a trumpet-shaped corona surrounded by a ring of 6 larger petals. They make a very striking arrangement both alone or in a grouping of flowers. 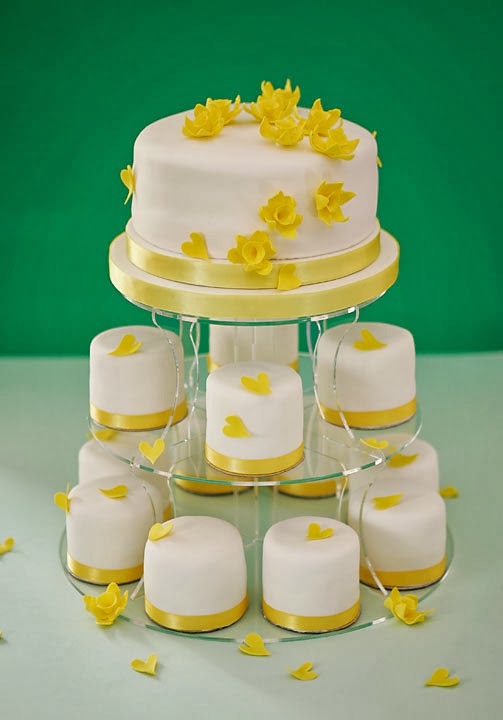 When planning your daffodil theme wedding, choose items that reflect this interesting flower. 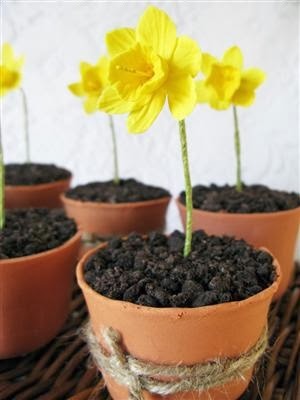 Daffodil shaped cookie favors make a sweet treat to delight guests, while a single daffodil in a bud vase placed before each table setting will brighten your table decor as well as your guest's homes. If you like the idea of making your own favors, try your hand at candy making using daffodil sucker molds. 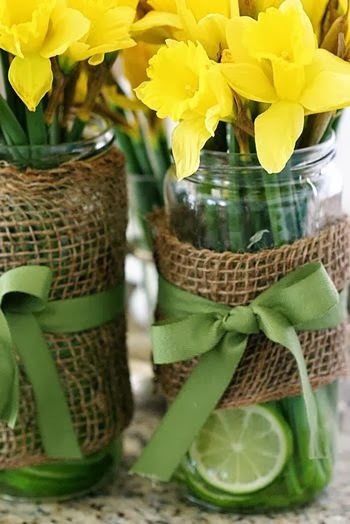 Potted daffodils bought at a garden center can be placed directly on the tables for eye catching centerpieces, and they'll definitely be less expensive than a flower arrangement. Have each of your attendants take home one of the pots at the end of the evening as a thank-you gift. 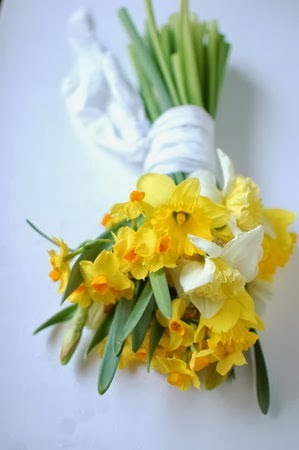 For additional table decor, use a daffodil shaped punch (check scrapbooking suppliers) to create your own table confetti. 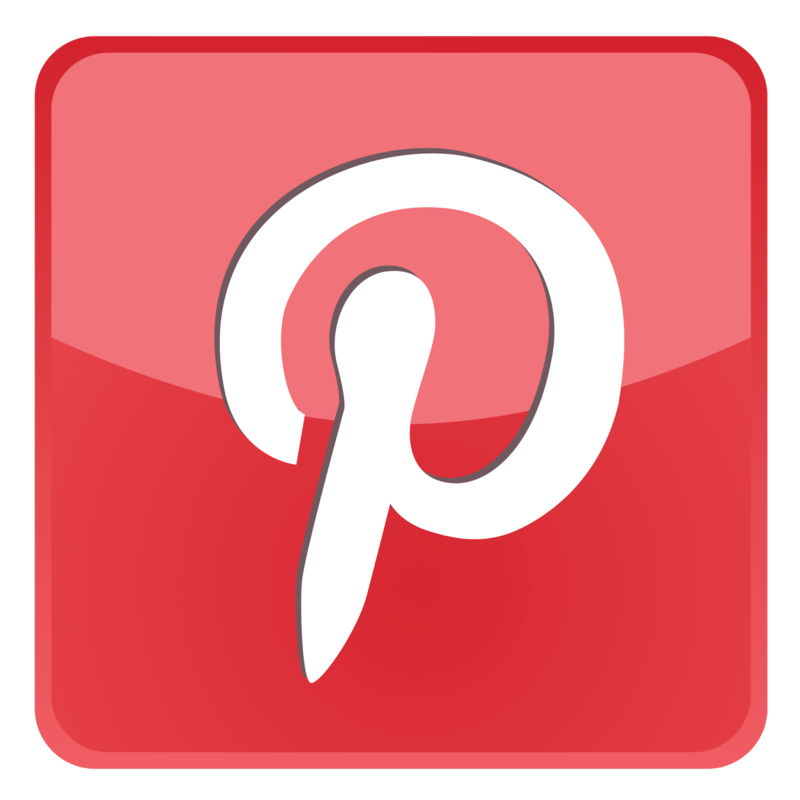 These punched out shapes can also be used for enhancing other decorations such as pew markers, the guest book or perhaps a card/gift box. Use white and yellow to enhance your theme idea further. For example, you could use White table linens with butter yellow napkins, white tulle draped in front of main tables and secured with large yellow ribbon bows, and clusters of white and yellow balloon bouquets placed throughout the room. All of these will lend an air of spring freshness to your wedding ceremony and reception locations. After all, a new marriage is blooming!